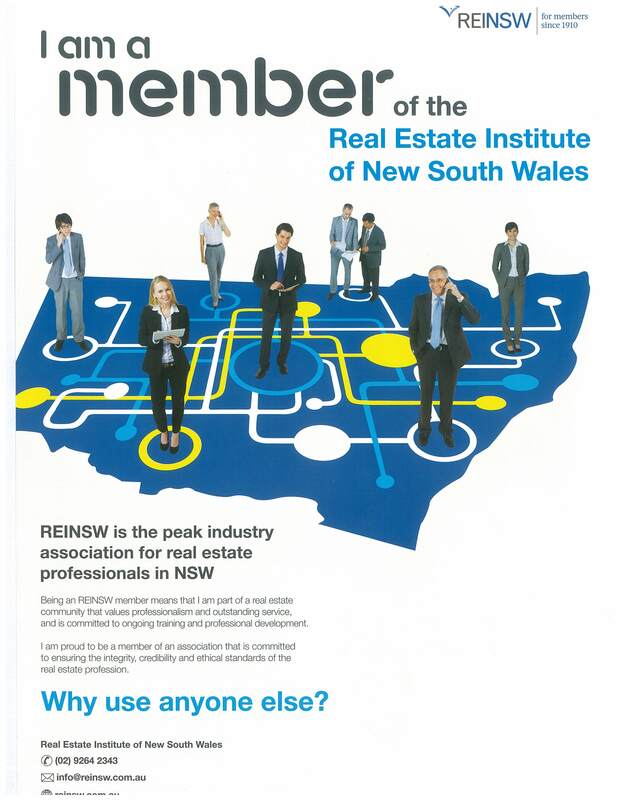 "REINSW members are part of a real estate community that values professionalism and outstanding service, and is committed to ongoing training and professional development. As the peak industry body for real estate professionals, REINSW is responisve and always relevant to the needs of agents and consumers. Our members are proud to be part of an association that is committed to ensuring the integrity, credibility and ethical standards of the real estate profession."